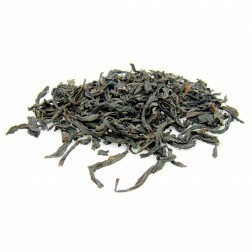 North Fujian Oolong is more fermented. It mainly grows at Mount Wuyi in north Fujian. There is a small yield from Jianou, Jianyang, Nanping, Shuiji—three crops per year. The picking and processing start from late April. It has two sub-categories, Wuyi Yan Cha(Wuyi Rock Tea) and Min Bei Shui Xian(North Fujian Daffodil/water faery), the former being more popular. 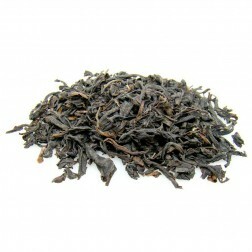 Mild in taste and light in flavor, Wuyi Yan Cha is the earliest type of Oolong. Its half-fermented processing was invented by villagers in Mount Wuyi during the late Ming and early Qing dynasties. Tea farmers plant tea trees between rocks and stones. 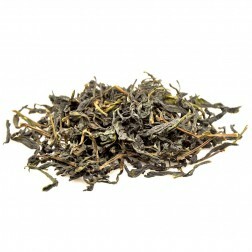 This gives it the name Yan Cha. Presently there are about 1,000 types of tea trees. 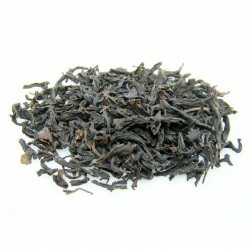 Famous Bushes are considered the “King of Yan Cha.” The small output and good quality make the Famous Bushes precious. They are given special names according to the tree shape or their growth environment. During the reign of Xianfeng (Qing Dynasty), the Four Famous Bushes chosen were named Da Hong Pao(Big Red Robe), Bai Ji Guan(White Cockscomb), Tie Luo Han(Iron Arhat) and Shui Jin Gui(Golden Turtle). Wuyi Cinnamon is made from the tender leaves of cinnamon tea trees first discovered in Hui Yuan Yan. Today, through a major asexual reproduction drive, it is found in Shuiliandong, Sanyangfeng, Matouyan, Guilinyan and Jiuquxi. 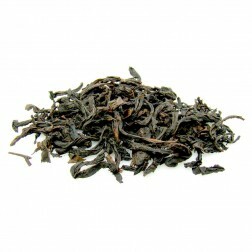 Wuyi Cinnamon has become the major breed of the Wuyi oolong tea and is produced on a large scale. Known as a premium quality Wuyi oolong tea, Wuyi Daffodil was discovered before Wuyi Cinnamon. First discovered around Dahu Village of Shuiji Area of Jianyang County in North Fujian 100 years ago, the top-grade Oolong tea is now produced on a large scale at Jianou and Jianyang counties, contributing 60–70% of the production in north Fujian. Different from the traditional north Fujian bar-shaped Oolong teas, today, mass rolling is an added process to compress and curl the leaves. 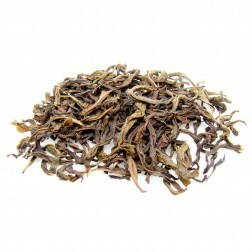 North Fujian Daffodil and South Fujian Oolong are similar in shape.